I LOVE negative space manicure, there's just something really chic and modern about it. I have tried doing it for a couple of times but have never been really pleased with the result. I am really pleased with how this one came out though. I had issues with colours bleeding everywhere, but nothing a little bit of nail polish remover and thin flat brush can't do. This tag has been going around for a long time on Youtube and it started before I am even interested in hoarding palettes. However, I always find it interesting to see everyone's response to the questions of this tag and I am itching to share mine as well. I am not tagged by anyone to do this tag it is just for fun but I tag everyone who's as obsessed at palettes as I do to do this tag. It is a long post so be prepared! I have always adored watercolour works; its soft and transparent quality ah love it! I have tried painting with watercolour myself a couple of times but almost all the time it turned out to be rubbish. 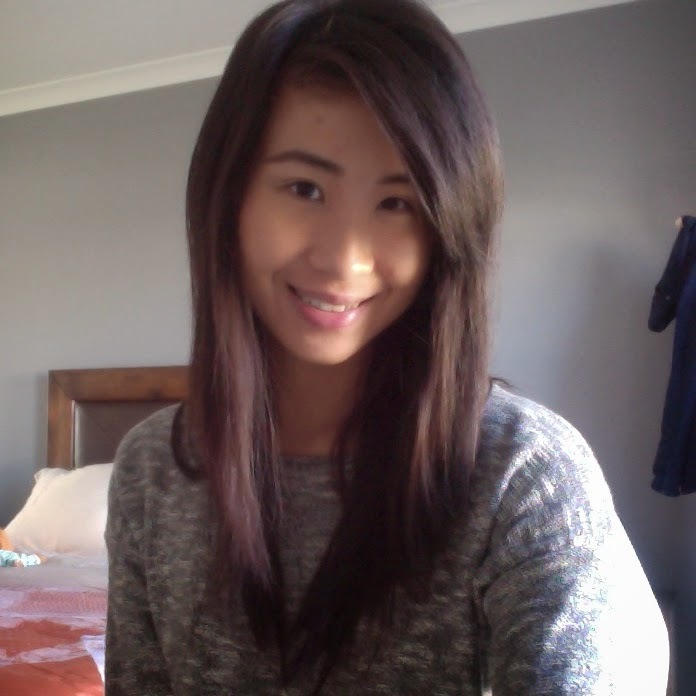 I have since learnt a few things and I'm pretty pleased. The object today is Marc Jacobs' fragrance in Daisy Dream. I don't own this fragrance although I love the scent of it. I find this fragrance just doesn't mix well with my body chemistry. So, a bottle of perfume might sound like a very simple object, at least that what I thought when I started. However, once I started colouring, it is not as simple. But I had fun playing with colours and I am looking forward to do more. Two weeks ago as I strolled the makeup aisle of David Jones I stumbled across a new range of white polishes from Nails Inc. This collection consists of four pale polishes with a creme finish. Being a pastel lover of course this display caught my attention. There are four shades in the line but I only picked one because at 27 dollars a bottle, it is not cheap. In one of my previous post I admitted that blue polishes dominate my collection. What can I say I love blues and I cannot stop buying blue polishes especially in creme finishes. I spotted this in Topshop about a month ago before finally decided to pick it up and I have no regrets. 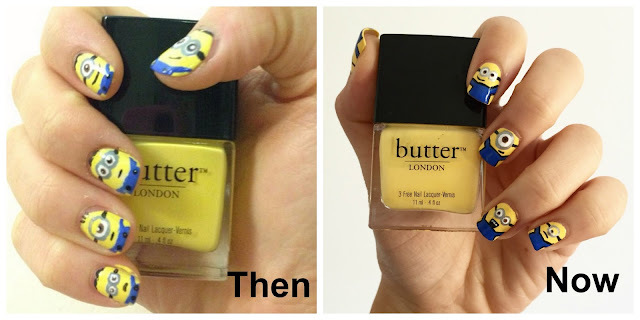 I am so excited for the new Minions movie to be released soon, so it is just appropriate that I do another minion nails. I did this nail art about two years ago on my aunt's nails. I think it will be interesting to see how much I've progressed with my nail art after two years. I'm pleased to say that I see some improvements, I think my new minion nail art is neater and tidier. I used the same polishes to create this nail art with Butter London Cheeky Chops as a base and Sally Hansen Pacific Blue for the minions' overalls. What do you think? Are you excited for the new Minions movie? Do share!